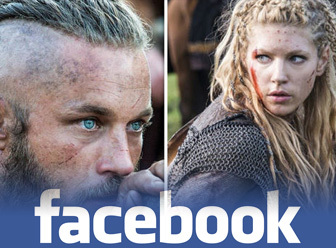 Last year news emerged of a Beowulf TV series created as original content for Syfy, the science fiction channel. Here’s a status report on that project, and a possible competitor. Hwæt! In november last year, it was announced that Syfy would develop an original TV series based on Beowulf, the ancient epic story about a Scandinavian warrior protecting a Viking king from a cave-dwelling monster. Following the success of other historical fantasy series such as Merlin, Vikings, Spartacus and Game of Thrones, the 3182-line Old English story, written as a poem, seems to be a logical choice for the channel. According to reports, the logline of the series is an “adaptation of the classic epic poem that further examines the hero’s rise to power and his feud with the monster Grendel.” Nothing new there, in other words, but the poem has been the subject of various types of adaptions over the years and should lend itself very well to TV. Between 1999 and 2007, no less than six films were made based on the legend, including Syfy’s own low budget Grendel, Robert Zemeckis’ animated Beowulf, and the Medieval futuristic Beowulf starring Christopher Lambert. Some of the Beowulf movies. No TV series have been made from the poem, though. The series will be written by Matt Greenberg (writer of 1408 and Reign of Fire) and produced by Greenberg, Brian Hamilton, Michael Chechik, Andrew Cosby and Paulo de Oliveira by Omni Film in Canada for Syfy. Universal Cable Productions will co-distribute. So what is the status of the show now, six months after it was announced? There is no information at all on the Syfy website, and none of the producers nor the writer has any indication of a fantasy TV series on their IMDb pages. Omnifilm’s news archives point only to the original announcement, with no updates. Neither Syfy nor Omnifilm has replied to our email inquiries. So basically, no news on this project – until April this year. The ITV network in the UK announced it is close to ordering two 13-episode family dramas, of which a Beowulf series is one. However, there is no mention of any link to Syfy or American producers. Is this the same project as Syfy is working on, or is ITV developing their own Beowulf series in competition with Syfy? There seems to be no information on this coincidence at the moment, neither via IMDb nor ITV. The beginning of the actual poem, written by an anonymous author between the 8th and the 11th century. ITV Studios’ Kevin Lygo said of the Beowulf show and a Dr Jekyll And Mr Hyde series they are planning: -It’s that world that the BBC can be good at, like Merlin and Doctor Who and Robin Hood, which play in different places around the globe. So we’ve spent some time developing these series, with a full economic explanation to the network. We need to commission runs of 13, not two or three-parters. It needs to be of a certain high production quality, so it is expensive. You want to persuade broadcasters, including your own, to invest in programming that works not only as it gets transmitted in the UK, but also has a proper life outside. Lygo is currently seeking production funding for the two shows, which are unusual not only for their specific fantasy content, but also the fact that they run for 13 episodes. Many British dramas run for three episodes, or if they push it, eight episodes like Downton Abbey or the 10-episode Mr Selfridge. The longer Beowulf season was chosen to Americanize the property and make it attractive for US distributors. It is also likely that Beowulf will fill a Saturday or Sunday evening slot in the UK, challenging popular BBC series such as Doctor Who and The Musketeers. ITV is also a supplier of dramas for the BBC, so wether the series will run on BBC or ITV’s own network is not currently known. Beowulf – or whatever it will be called – will be produced by Tim Haines, producer of ITV’s science fantasy drama Primeval and director of the popular documentary Walking with Dinosaurs. In 2002, Haines and Jasper James founded Impossible Pictures, which produced all his films since then. Impossible Pictures has so far declined to reply to our inquiries. 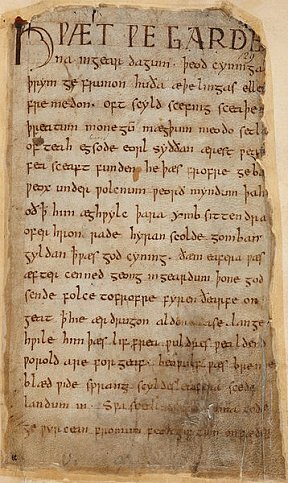 Beowulf the poem is one of the oldest pieces of litterature available. Set in Scandinavia in the 5th century, it had a huge influence on J.R.R. Tolkien, who was a scholar of Old English and Anglo Saxon languages. He did officially confirm that Beowulf was among his “most valued sources” when creating Middle-Earth for the Lord of the Rings saga. In 1936, Tolkien made an academic lecture called Beowulf: The Monsters and the Critics, which had a lasting influence on Beowulf research. At the time, the academic world disapproved of the poem for dealing with childish battles with monsters, rather than realistic tribal warfare. Tolkien argued that the author of Beowulf was addressing human destiny in general, while not being limited by tribal politics.